Mr. Lowell Troutt, 74, of Metropolis, IL, passed away at 8:50 a.m. on Saturday, January 19, 2013 at the Western Baptist Hospital. 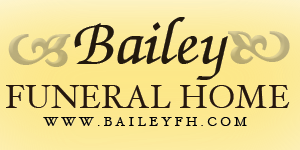 Funeral services will be Wednesday, January 23, 2013 at 11 a.m. at the Aikins-Farmer Funeral Home in Metropolis with Rev. Buddy Sork officiating, burial will follow at the Macedonia Baptist Church Cemetery with Military graveside rites. Lowell is survived by his wife of 49 years Linda, two daughters, Lisa Browning of Warrensburg, IL and Lori Abbott and husband Brian of Metropolis, IL; one son, Lee Troutt of Metropolis, IL., seven grandchildren; Heidi Browning, Erika Trout, Pvt 2/C Jacob Browning, Levi Troutt Will Browning, Tiffany Troutt and Noah Abbott, one great grandchild, Cal Ginger, and several nieces, nephews and cousins. He was preceded in death by his parents, Hubert Lee and Lena Elizabeth (Rushing) Troutt, and one son, Lyndall Troutt. He attended New Beginnings Baptist Church and was of the Baptist faith, and served in the U.S. Army. Friends may call at the Aikins-Farmer Funeral Home Tuesday January 22, 2013 from 6 until 8 p.m. and Wednesday from 8:30 a.m. until the funeral hour.